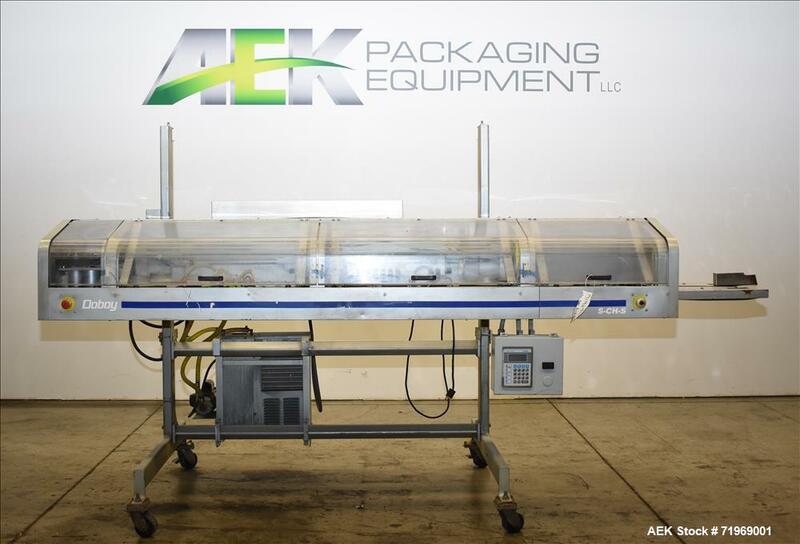 Aaron Kendell Packaging Equipment (AEK) has a large inventory of reconditioned, unused, and used band and hot hair bag sealers. If you are looking to sell your used band or hot hair bag sealer submit a request online or contact KC Christensen at 630-238-2660. Doboy (Bosch) Model S-CH-S High Speed Heavy Duty Continuous Band Sealer. Used- Doboy (Bosch) Model S-CH-S High Speed Heavy Duty Continuous Band Sealer. Designed to seal bags bulk bags at speeds from 30 - 75 feet per minute. 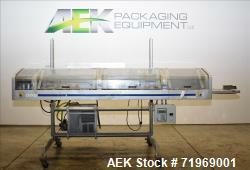 Capable of handling heat sealable films up to 8 mil. gusseted / coated woven poly propylene can be used. Has a Direct Logics 405 PLC controls, 4 pair of heater bars, two pair of cooling bars with optional refrigerated chiller. Mounted on casters for portability. 3/60/230V. Serial # 99-21806.